NOTICE: We advise users to not update the Google Chrome Browser just yet if you use it for eLOQ Enterprise. Please do not go to Help>About as this will trigger the update. Please follow the below steps that need to be taken in Chrome and Opera browser if you see the below error and you know eLOQ Uplink is running. Error when the site cannot contact eLOQ Uplink. Step3: Close eLOQ Uplink by right clicking on the icon and selecting “Exit” as shown in the image below. Then close the browser in which you navigated to 127.0.0.1 . Step4: Re-launch the browser and eLOQ Uplink. Navigate to your unique login URL, the eLOQ Uplink error should not occur anymore and you will be able to use eLOQ Enterprise as usual. 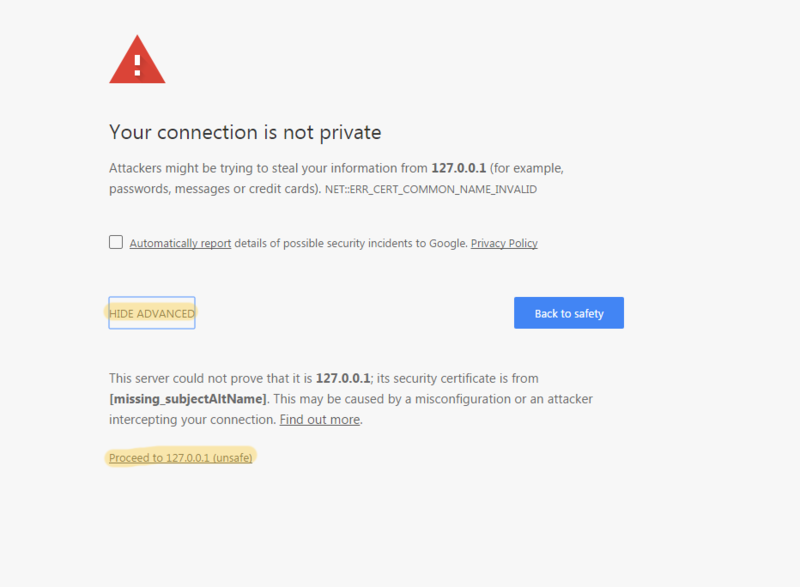 Google Chrome developers have reacted to some security research that suggest there is exposed risk to users of the browser when connecting to local services. However I would like to make clear this is NOT an issue with eLOQ Uplink but more to do with other devices e.g. old insecure routers that are on the localhost network. Because the chrome developers cannot securely identify different use-cases over the localhost identifier they have for now blocked any networking to the local network i.e. 127.0.0.1, localhost etc. We have already identified a few possible solutions however we will hold out a little longer for some new news from the Chrome Dev team. For the near future we advise not updating Chrome just yet. Successful Update of eLOQ cloud Services. The planned eLOQ cloud services update and maintenance has been completed successfully. The maintenance was completed in 1.5 hrs which was less time than initially expected . We would like to thank you for your patience and also inform you on how this update will improve your experience with our cloud services. Improved the server loading times. Implemented a new cloud service architecture that would allow us to update and maintain the eLOQ Cloud services seamlessly in the future. Further increased our cloud security. Migrated our cloud servers and database servers from Dublin, Ireland to London, UK as discussed in this blog post. In short the update has greatly reduced the loading time for www.eloqenterprise.com . It has also increased the speed at which the pages load when you are using our cloud software. This update also ensures that our customer data is stored safely and securely within the UK . The security of www.eloqsecurity.com has been increased as well . Below is a screenshot of the results from qualsys sslLabs (click the link to test www.eloqenterprise.com yourself). Planned Downtime – December 04 2016 – Major eLOQ Cloud Service Update. Planned downtime will start at 23:00hrs on the 4th December 2016. The downtime could potentially last for 4-12 hours. UPDATE: We expect the cloud service to be up and running within 30 mins however it could still take 4 – 12 hours. We will post here and on twitter when the maintenance has been completed and potentially follow it up with a post. During the server migration process eLOQ Enterprise and the affiliated cloud services will be offline and unreachable. We would like to mitigate any inconvenience the server migration might cause our customers, so we would like to advise our customers to do the following before 23:00hrs on the 4th of Dec 2016. Issue or remove any user keys before the planned downtime. Manage user re-validation periods to make sure user keys do not need re-validating during the planned downtime. Making and saving any changes on the system before the planned downtime. ANY CHANGES MADE TO THE PLATFORM MADE AFTER 23:00HRS WILL NOT BE SAVED! Taking these precautionary measures will reduce any service disruption during the planned downtime. Any updates regarding this downtime will be put into this post as well as being informed via our eLOQ Twitter. We would like to inform our customers about a planned downtime that could affect eLOQ Enterprise for a time period of 4 – 12 hrs starting from 23:00hrs on the 4th December 2016. During the planned downtime eLOQ Enterprise will be unavailable to customers for the duration of the downtime. eLOQ Enterprise runs on the Microsoft Azure cloud platform. Currently our servers are Azure servers located in Dublin, Ireland. We chose to host our servers in Dublin because Microsoft Azure did not offer UK data centres when eLOQ Enterprise was initially offered to our customers. Microsoft Azure has recently opened 3 new data centres in the UK located in London, Durham and Cardiff. So we have decided to move our servers from Microsoft Azure data centres in Dublin to London. This move means all our customer data will be held in UK instead of the Dublin which would ensure that the data protection policies complied with UK regulations instead that of the EU. Microsoft Azure UK has gained the UK government’s “Official” security credentials and is UK G-Cloud approved. The MoD(Ministry of Defence) and NHS(National Health Service) have adopted Microsoft Azure cloud infrastructure in the UK as a result. For more information, follow this link to the BBC article on the same. We would like to offer our customers only the best in safety and service and nothing less. Moving our servers from Dublin to London is a complex manual affair with little to no room for any error what so ever. So we will have to carry out the server migration with utmost care and make sure everything is working as it should once the server migration is done, this takes time. Take eLOQ Enterprise and our other cloud services offline. Setup the cloud environment in the London Microsoft Azure data centre. Making sure everything is working as it should. Make sure our DNS servers point to eLOQ Enterprise hosted on the London Microsoft Azure data centre. And the whole process takes anywhere between 4- 12 hours in total.